It wasn’t his son that had undergone open heart surgery for the last few hours. It was his great-great-grandson, a meager boy of six that no one thought would survive the night. Especially not Henry, who’d been restless the entire day before. Locked in his coffin, he couldn’t will himself to sleep, knowing that the very last of his kin was lying chest-open on a table while humans did their best to save him. Henry thought himself selfless. He could save the boy simply by killing him. It would be quite easy. He would have a companion to share all immortality with, and it would ensure that Eli, his great-great-grandson, would never be sick again. But could he do that? Could Henry risk Eli’s immortal life by freezing him at six? What kind of life would that be for a vampire? Unconvinced it was what he should do, Henry forced himself to stay put in his coffin and leave Eli’s fate to the doctors. Henry nodded, keeping his pale face to the ground, his focus on the shiny linoleum floor that accosted his eyes with such harshness. Eli didn’t belong in a place like this. He belonged out in the country, where Henry liked to roam for weeks upon weeks, where the nights blended into one another and muddied then into months. Years passed this way. A century passed this way. He was somewhere in Montana when he’d learned that his great-great-grandson was born, and that he was given the name Eli after a far-removed relative. Henry had long since deserted the family he’d known, having fallen into a great depression after the horrible incident—when he’d gone too long without quenching his all-consuming thirst and, in a desperate moment of hunger, launched himself at his granddaughter-in-law. He never meant for it to happen. But he couldn’t stop himself. He drank her clean and quickly, leaving a sallow shell of a body behind. Afterward, he was full, his strength renewed and his energy spiked. In the first few minutes he felt young again, like he did at nineteen, when he himself was turned. Except, looking down at the broken, sunken face of the woman his grandson had fallen in love with, Henry knew what he’d done. What’d he given up to quench the monster that reigned inside him. Henry paused. The lilt of her voice was heavenly. It was warm and coaxing and reminded him of the way caramel dripped in a slow, languid motion. It reminded him of his young wife, Mary, who he hadn’t seen in over a century. It reminded him of vulnerability. Lifting his head, Henry kept his curse to himself. The nurse was slender and smiling with long auburn hair clipped to the back of her head. It was the same color Mary had possessed, nothing like the short black crop Henry kept. He meant to leave—he really did. But something rooted him to the ground, refusing to let him go. She so resembled his Mary, and couldn’t be much older than his young bride was when he returned home that first night. Mary had been terrified. The look in his eye…the strength in his body… and that crazed hunger he felt. Like his granddaughter-in-law, he couldn’t help it. He needed a taste. Just a little taste. There was something about auburn-haired women that drove his thirst to the limit. Like they were wearing his need for blood on the outside, like they were inviting him to drink. He knew he shouldn’t, especially with the last of his kin down the hall. That was why he was here. Family. The family he’d nearly destroyed. But could he face the overwhelming scent when he entered Eli’s room? What if he wasn’t strong enough? Henry roamed the country for a reason. Weakness and guilt. “Sir?” the pretty nurse frowned. A faint blush rose to her cheeks. “Th-thank you…” she stammered. It was already working. “What’s in there?” he gestured to the door in the wall behind her. He would do it quickly, he promised himself. He was not here for her and the guilt over this would torment him for months. Normally he didn’t feed on humans. He made the decision to abstain after what happened with his wife and granddaughter-in-law. Of course there were times he slipped, but as a rule, he kept his sustenance to small creatures, most on the verge of dying. In fact, it had been three weeks since he last fed, and it was on a small alley cat who had wandered by at the right time. Completely hypnotized, Carla nodded. She led him toward the janitor’s closet and opening the door, she entered first. Henry was right behind her. He didn’t give her a moment. Gripping her skull with one hand, he yanked it to the side and felt her bones crack under his fingers. What little scream she had died as he sunk his teeth into the soft flesh of her neck. Henry shuddered in pleasure as it tore, as the delicious flavor drenched his incisors, coating them in rich bliss. Oh yes, this is what he needed. It only took a few minutes to drink her fully. When he was done, he pulled out of her body and she collapsed to the ground at his feet. This was the part he hated. Her eyes, which were warm and friendly before, stared ahead at nothing now. Who would find her? What would they think? Henry couldn’t bother himself with these thoughts. They would keep him awake in the upcoming days and right now, he had more important things on his mind. Wiping a last drop from his lip, Henry carefully left the closet and closed the door behind him. That was over and he could do what he came to. Locate Eli, the last of his kin, who had been orphaned in an automobile accident. If he woke up, he would face a life of hardship and pain. Once he reached it, Henry paused at the door. He shouldn’t be here. He knew he shouldn’t be here. Eli didn’t know him. And Henry, as he proved only minutes earlier, was a monster. But what choice did he have? The boy had no family, no one to take care of him and Henry had been so lonesome for so long. It only made sense that they should be paired. Pushing the door open, Henry walked inside. Eli was asleep in the bed. Tubes were placed inside his nose and needles stuck in his arms. Henry tried not to breathe in the alluring scent of blood. He’d tried his hardest since first entering the hospital, grave concern for his last living relative overpowering every other need. He even tried to staunch it with the nurse. But with this much blood surrounding him, it was difficult; Henry did not deny this. Hunger rose inside him again. Moving closer to the bed, he looked down on little Eli, very pale and still, and his hunger grew to pain. Eli resembled his own son in the sharp curve of his cheekbones and his hard, long brow. He was copper-haired like his great-great-grandmother, a trait that threaded itself throughout Henry’s descendents, mocking and ridiculing him with each passing generation. But this was the last of his family. He knew it. He’d checked and checked again. This was the last body who carried his blood and with a quick sniff, he knew it in his heart—the boy would not survive. The human doctors had done everything they could, but Henry could smell death. He, himself, had reeked of it for over a century and it was how he was able to select his prey. They were already doomed, either dying of starvation or sickness that could not touch him. He had hoped Eli would survive this, having left his recovery up to the capable doctors of a generation far surpassing healers of his own day. But now he knew for certain: Eli would die. Henry sunk into one of the plush hospital chairs. “Eli,” Henry said, but the boy did not stir. “Eli,” he tried again and moved to the side of the bed. Henry examined the needles and the steady breathing of his great-great grandson. He’d perched over many victims like this, watching as their last breath seeped out, leaving them still and cold. This is when the guilt would start. But the boy was still breathing and Henry wasn’t at fault. Not this time. Not yet. Slowly trailing his fingers along Eli’s soft brow, Henry tried to imagine him as an older man, something he would never become. Even if given an immortal life, Eli would grow no older. He would be frozen like this, with no possibility of creating new life. Would it be fair? They would have each other at least. They would not be alone. Henry paused, as if waiting for Eli to agree, but the boy did not move. “It would be difficult, I do not deny this. And there may come a time when you hate me, but you should experience more than six years,” Henry spoke into Eli’s ear. Still, he hesitated, waiting. Was this right? 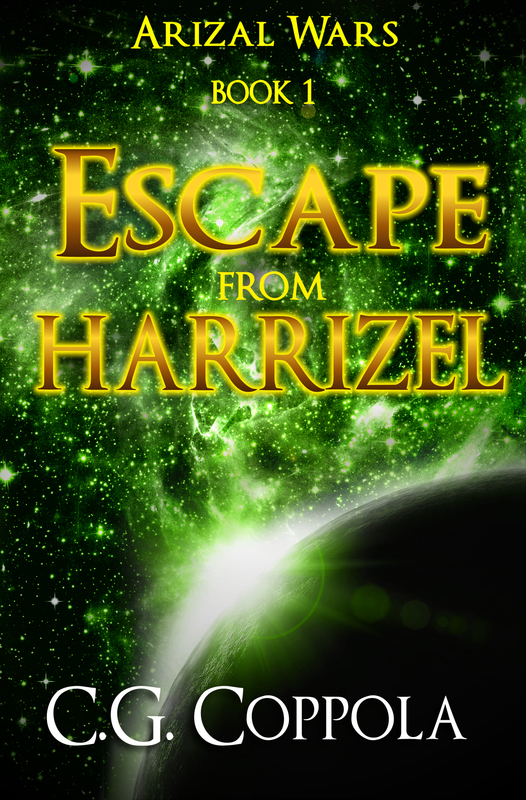 Would he be saving the last of his kin… or dooming him to an endless misery? What to do? Henry looked upon the boy’s gentle face. If he died, Henry would perish—he knew it. And if Eli lived, even an immortal life, his blood would continue to flow. Henry would not be the last. He would not be alone. The vampire sunk his teeth into his own wrist and held it up. A few red drops dripped through Eli’s parted lips. Henry sunk into the plush chair again, head in his hands, and waited. He wasn’t sure how much time had passed when a harsh beep rang out. It only took a moment for the humans to flood the room, rushing around the bed. Henry merely watched. There was nothing he could do but wait. It would all be over soon. The humans probably thought their presence was necessary, but it didn’t matter at this point. Eli’s death was inevitable. Henry nodded only once, stood up and left the room. Had he done the right thing? Given Eli immortality when his life would have otherwise ended? Would he be bitter toward Henry? Would they find a good companionship over the years? Would they explore the new centuries together? Henry walked and walked around the hospital and into neighboring woods where he lost track of the time. Too many thoughts consumed him, thoughts of the past and of his family that he hadn’t seen in years. New thoughts excited him, filling him with hope and wonder for a future that would prove happier than his past. Henry wouldn’t be alone anymore. He walked and walked and walked under the treetop canopy, deciding how he would explain to Eli what he was and how they would need to survive and what joyous things awaited him in this great, wide world. Soon, Henry thought. Soon I won’t be so alone. Soon I will have the family that was taken from me… and that I took from myself, he thought sullenly. His heart thumped in excitement. Absentmindedly, Henry stepped past a barrier of thick oak trees. He only had a moment before meeting the light.